The SR-5016 powered slip roll has a forming width of 50" with a capacity of 16 gauge mild steel. This is a three roll machine with two driven rolls that are made of polished carbon steel offering years of service. This is the perfect sheet metal tool to have in any HVAC shop or general fab shop when sheet metal forming is required. The drive transmission for the SR-5016 is driven by a powerful motor that requires 220V, Single Phase, 60 Hertz that is suitable for almost any shops electrical service. The frame is composed of two heavy solid steel frames that are electro-welded to a heavy base that allows no deflection when bending across the entire useful width at full capacity (16GA mild steel sheet metal). This rigid construction will provide precision roll bending for decades of production. This sheet metal roller comes standard with three wire grooves. For rolling sheet metal simply place the unbent piece into the bender and bring the back roll up to the desired position, then start your bend. This piece of sheet metal equipment is easy to adjust and operate making this bender a pleasure to work with, and this increases rolling productivity. Simplicity and rigidity define the SR-5016 roll bender. 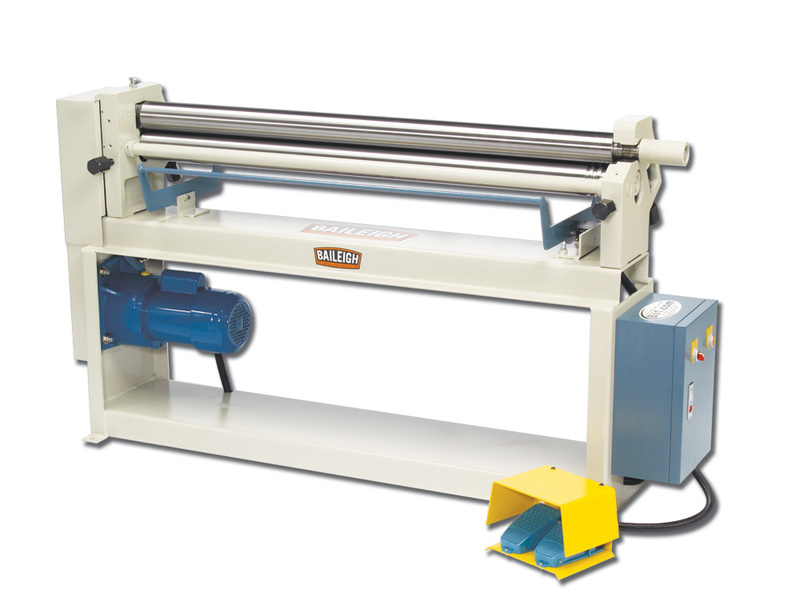 Baileigh's SR-5016 roll bender is a great piece of fabrication equipment to add to any fabrication shop where 16GA sheet metal or lighter needs to be rolled down to a minimum diameter of 4.5" or larger. It's perfect for heating and ventilation stacks.